Editor Johan ten Berg of the Netherlands, one of HTBS many friends, sent an e-mail with an interesting photograph from the 1912 Holland Beker, which was won by the German sculler Bernhard von Gaza (who HTBS has written about before, as an author of rowing books and as the winner of the 1911 Holland Beker, where the runner-up was the Cambridge sculler Eric Fairbairn). The German sculler was killed during the First World War (as was Eric Fairbairn), but ‘in the 1912 picture there is possibly another rower that was killed during the War’, writes Johan. He continues, ‘the man happens to be Guiseppe Sinigaglia (S.C. Lario, Como)’ from Italy. Johan writes that he is not certain, but surfing around on the internet, finding some photographs of the Italian sculler, it might well be him in the picture. Johan writes that Sinigaglia ‘is mentioned as one of the entries [in the 1912 Holland Beker], but as he isn’t mentioned in the results in the newspapers, he may not have started’. In another article it states that Gerhard Nunninghof, Kölner Club für Wassersport, won a heat on walk-over as Sinigaglia did not show up at the start. Is this Guiseppe Sinigaglia, asks Johan ten Berg? Maybe a reader in Italy can help us to answer the question if the man in the photograph above is the famous Italian sculler Sinigaglia? 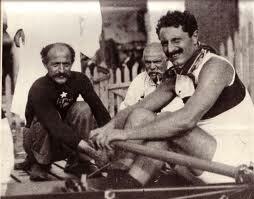 Guiseppe Sinigaglia might not have won the Holland Beker, but he was a very successful oarsman. In his hometown of Como, he became the 1911 European Champion first in the double scull (with Teodore Mariani) and then in the single scull, where he was described as ‘outstanding elegant’ and ‘much admired, even by his opponents’. Sinigaglia did not compete at the Olympic rowing regatta in Stockholm in July 1912, but a month later, he did race in the single scull at the European Championships in Geneva, coming second after the Belgian sculler Polydore Veirman, who had taken the Olympic silver medal in the Swedish capital, being beaten by the Scotsman Wally Kinnear. 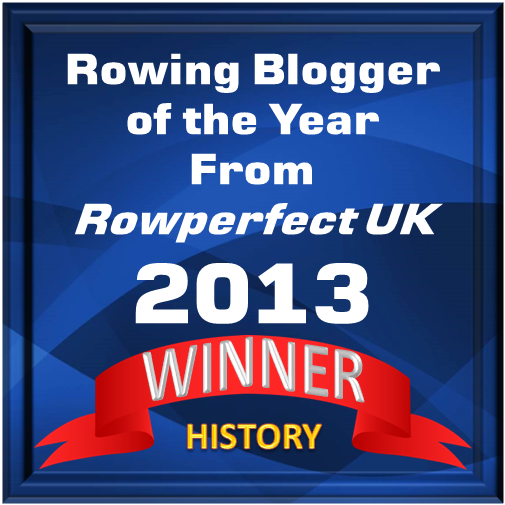 Veirman was a very good all-round oarsman who had become European champion already in 1901 in the eight. The 1913 European Championships were held on Veirman’s homewater in Ghent. The single scull final proved to be a total fiasco: the umpire stopped the race twice and ordered two re-starts. In the end he disqualified Sinigaglia and the French sculler Peresselenzeff (of Russian origin), and as Veirman capsized, the victory went to the only sculler still afloat, Frederich Graf, the first German to become European champion. It has to be mentioned, though, that Graf, who was self-taught and never had a trainer or coach during his sculling career, had been in the lead throughout all three starts. 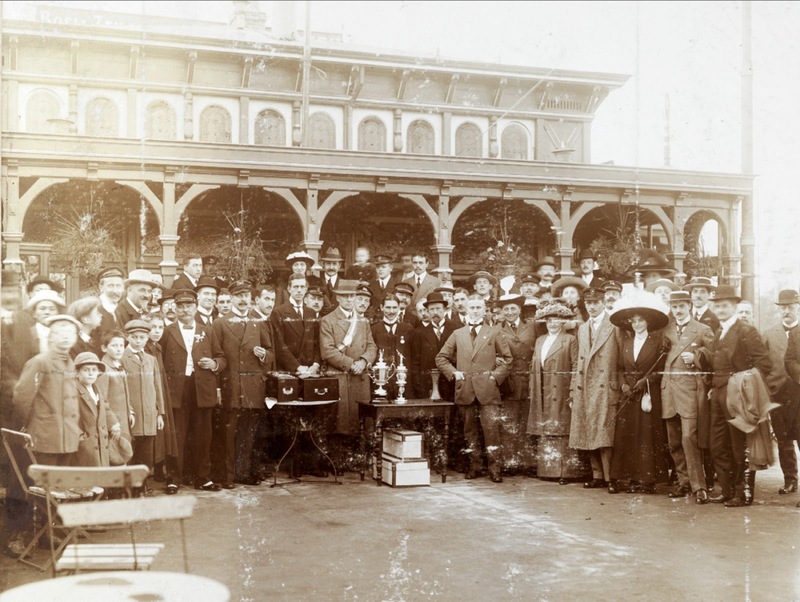 The First World War put a stop to the 1914 European Championships, but the Italian sculler took the Diamond Challenge Cup at Henley that year, beating C.M. Stuart of Trinity Hall, Cambridge. Wanting to serve his country, Sinigaglia signed up in the Royal Italian Army, where he in 1916 advanced to the rank of lieutenant. On 9 August 1916, he led his men in a charge at Monte San Michele. At the attack Sinigaglia was hit by Austrian fire and, badly wounded, he died the following day, 32 years old. He was awarded the Silver Medal of Military Valor, and later the stadium in Como was named after him, Stadio Giuseppe Sinigalia. Read more about Giuseppe Sinigalia on Wikipedia, in Italian or in English. In a newspaper on 18 February, 1915, was a report that von Gaza had been injured in his left arm by a grenade. A year later, in March 1916, the German sculler was awarded the Iron Cross. On 19 December the same year, a newspaper reported that von Gaza had died on the western front a few days earlier. Many thanks to Johan ten Berg for sending the photographs and giving information about Sinigalia.